An unidentified bilingual singer-songwriter with information limited to the above. Making a sudden appearance in video sharing websites, nano made originally arranged songs using VOCALOID singing in English. Within a few days after the post, it ranked top place in certain video sites. 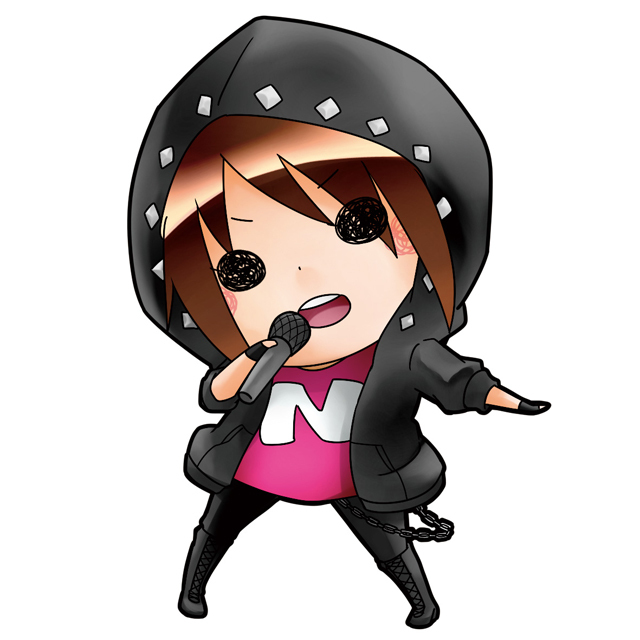 nano then posted numerous songs in English, including cover-songs of western music, all sung by VOCALOID with outstanding singing abilities. This gathered support from many people around the world. In addition, posts had been made on “Youtube”, leading to receiving many positive comments from overseas fans, and even being said “Thank you for bringing this to the western side of the fandom”, by fans regarding nano as a bridge between Japanese music and overseas market. On March 14th 2012, nano released major debut album “nanoir”. As a rookie, nano made unprecedented music chart action, ranking in 10th place in Oricon Daily Ranking. Maintaining momentum, nano released first sing “Now or Never” on May 23rd 2012, and second single “No pain, No game” on October 10th 2012. Two singles with two tie-ups attracted much attention, and on to releasing second album “N” on Feb 27th 2013. Ranking 8th in Oricon’s weekly ranking, This popularity keeps its momentum, singing with a voice saying “no national borders”.